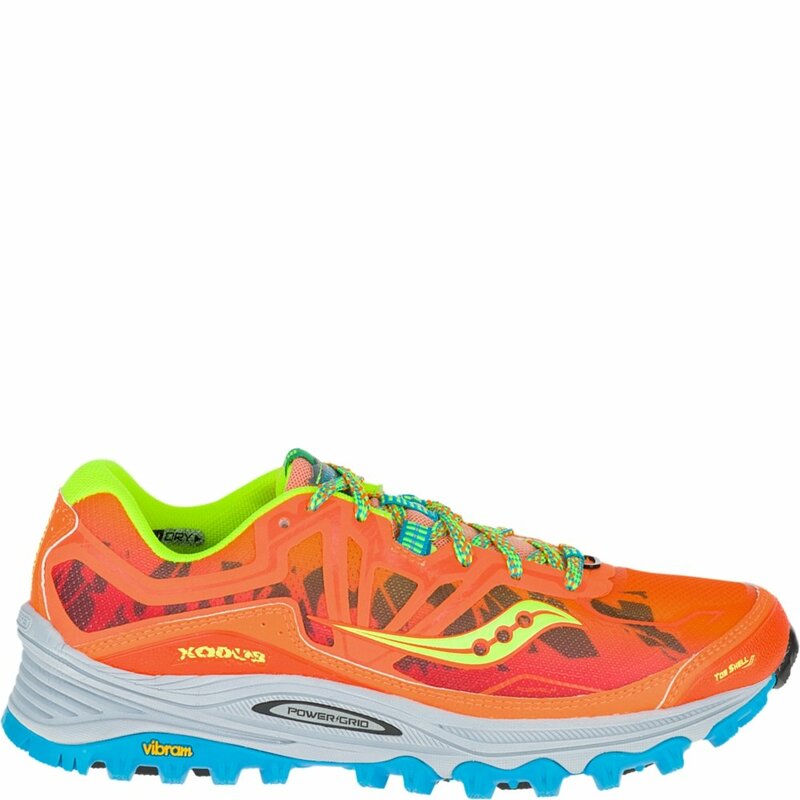 If you run on technical terrains quite often, then you should get yourself a pair of the Saucony Xodus 6.0. Designed for aggressive and rough terrains, these trail running shoes will ensure that you are comfortable and trail at all times. It features great technology, a wide range of high-quality materials, superior craftsmanship as well as style that makes it stand out from other shoes in its class. As much as they might be heavier than other trail running shoes, the comfort and protection they offer your feet is worth the compromise. Unlike other trail running shoes, the Xodus 6.0 features breathable open mesh, which is then secured using Flex Film technology. The upper material is strong and lightweight, making the shoes flexible. On the other hand, a collar lining around the heel provides extra cushioning while adding a comfortable fit. Saucony has utilized moisture-wicking technologies throughout the upper to ensure your feet remain fresh, cool and dry. Instead of using ordinary EVA in the midsole, Saucony has instead utilized its Powergrid midsole, which is significantly lighter and even more durable. The use of Powergrid technology makes these shoes more responsive while minimizing foot fatigue. If you are looking for trail running shoes that combine protection, responsiveness and comfort, then the Saucony Xodus 6.0 is a recommended option.